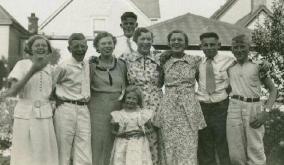 Dorothy Martha Schwert was born on July 29, 1913. She was the second of three children of Paul J. and Mary Rose (née Wagner) Schwert. Dorothy was baptized on August 24, 1913, by her uncle, Rev. John Bernard Schwert. Her grandparents, Franz Carl Schwertfeger/Schwert and Julia (née Schlia/Schlee) Schwertfeger/Schwert, served as her godparents. 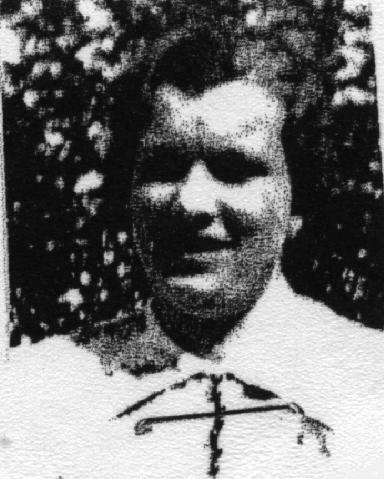 Dorothy attended Mount Saint Joseph's High school in Buffalo (her uncle, Rev. John Bernard Schwert, paid her way). 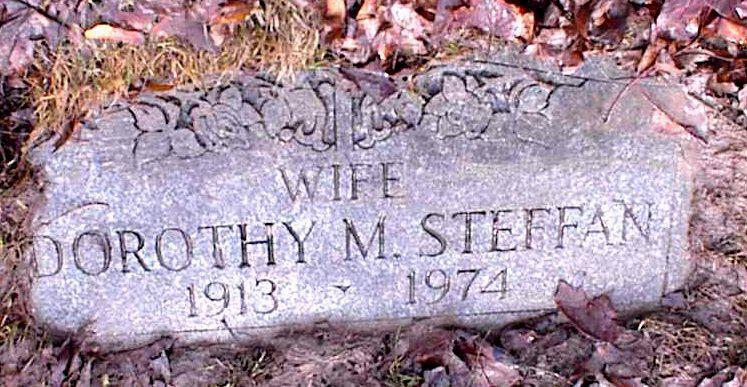 She married Gerald M. Steffan. The couple had no children. 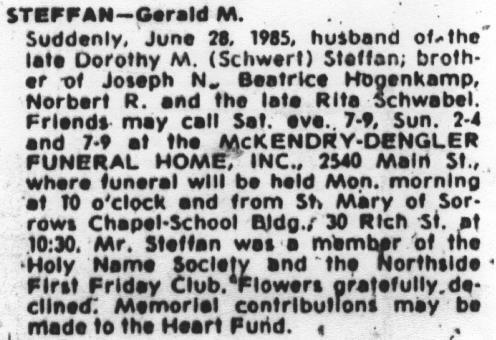 On February 17, 1941, Dorothy married Gerald M. Steffan. 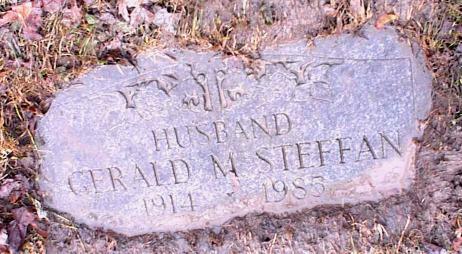 Cemetery records indicate that Gerald was the son of Joseph and Rita Steffan. Dorothy died of a heart condition on June 9, 1974. Gerald died of a heart condition on June 28, 1985. 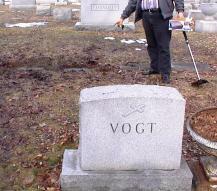 Both are interred in Lot 81, Section 6, United German & French Cemetery (Pine Hill), Cheektowaga, NY. Paul J. Schwert: Born 1888; died 1942. 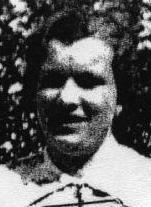 Mary Rose (née Schwert) Wagner: Born 1884; died 1944. Graves of Dorothy (née Schwert) Steffan and Gerald M. Steffan, Lot 81, Section 6, United German & French Cemetery (Pine Hill), Cheektowaga, NY. General location of Steffan grave markers in Lot 81, Section 6, United German & French Cemetery (Pine Hill), Cheektowaga, NY. Baptismal Record: Dorothy Schwert, August 24, 1913. (Also gives marriage record for Dorothy). Marriage Record: Dorothy Schwert and Gerald M. Steffan, February 27, 1941. 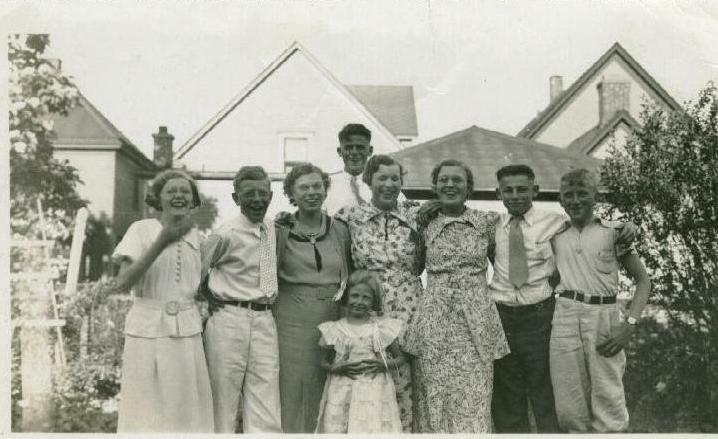 (Also gives baptismal record for Dorothy). 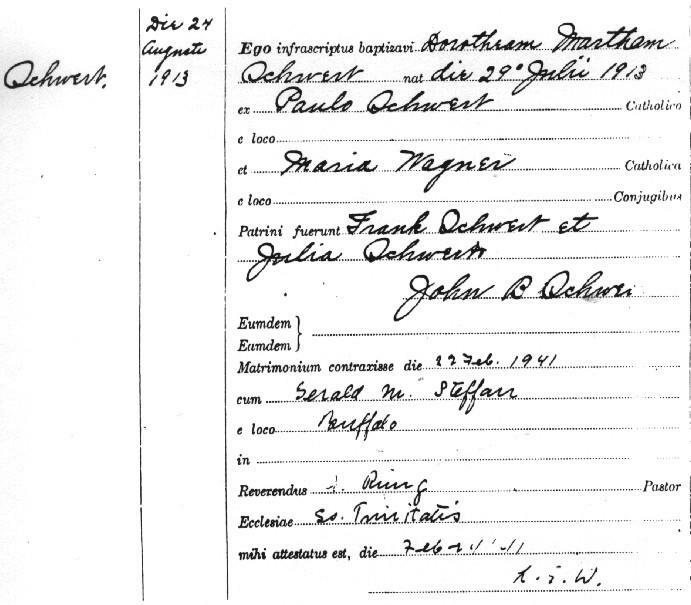 1930 Census: Census records for Dorothy Schwert, and her parents Paul and Mary Rose (née Wagner) Schwert. 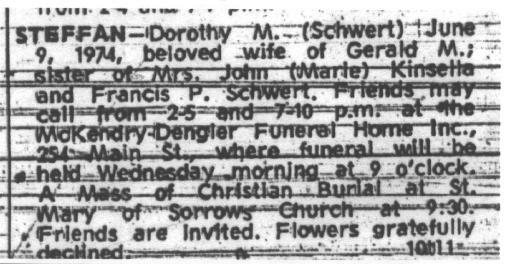 Obituary: Dorothy (née Schwert) Steffan, June 9, 1974. 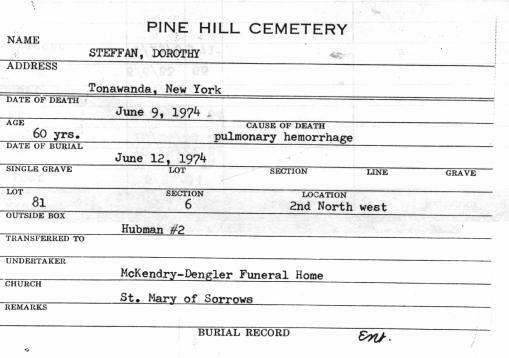 Interment Record: Dorothy (née Schwert) Steffan, Lot 81, Section 6, United German & French Cemetery (Pine Hill), Cheektowaga, NY. 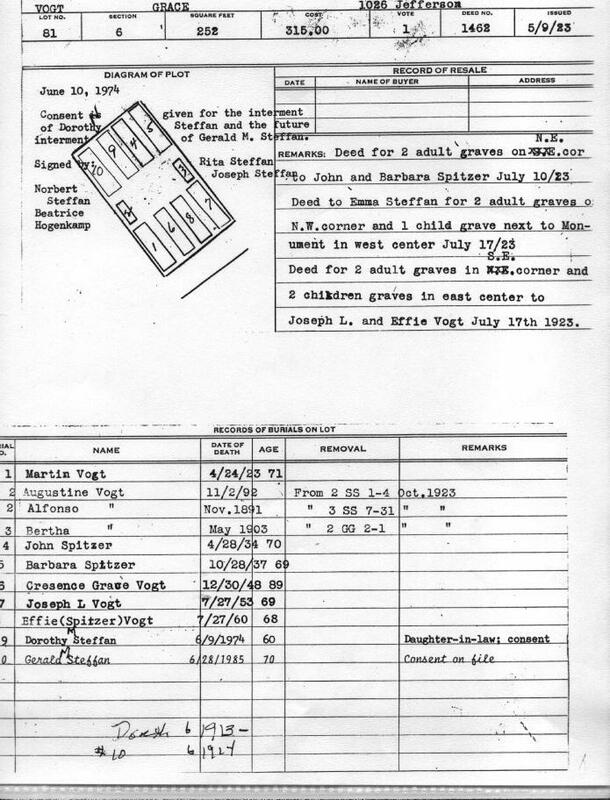 Cemetery Plot Record: Dorothy (née Schwert) and Gerald M. Steffan, Lot 81, Section 6, United German & French Cemetery (Pine Hill), Cheektowaga, NY. Obituary: Gerald M. Steffan, June 28, 1985. 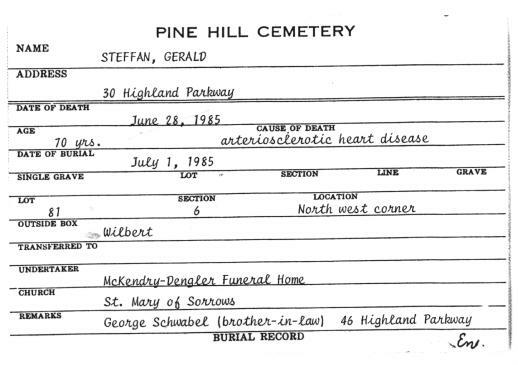 Interment Record: Gerald M. Steffan, Lot 81, Section 6, United German & French Cemetery (Pine Hill), Cheektowaga, NY. 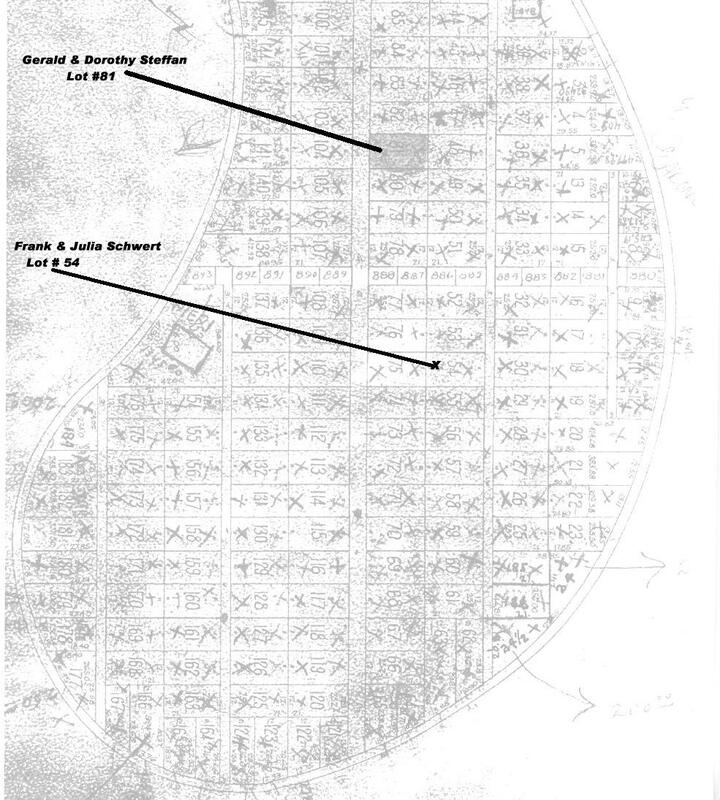 Cemetery Plot Map: Map showing location of exact burial plot for Dorothy (née Schwert) and Gerald M. Steffan, Lot 81 Sec. 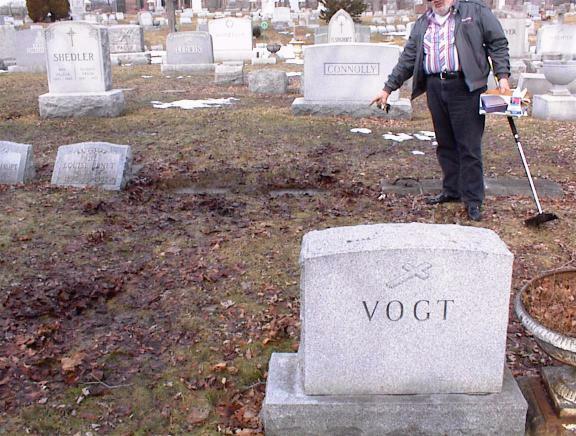 6, United German & French Cemetery (Pine Hill), Cheektowaga, NY. Map also shows nearby location of the grave of Franz Carl Schwertfeger/Schwert and Julia (née Schlia/Schlee) Schwertfeger/Schwert.